I know the berry and burgundy hues are very popular this season, but I am in love with the grey and dark taupe nail colors. I believe they are a very stylish alternative to the reds. Whether you opt for warm mink, dark charcoal or metallic granite, there’s a color to suit every skin tone – so you don’t have to worry about the color washing you out or being boring. Wear soft grey knits and add some edge to your fingertips. And right on time for Christmas you may want to try this nail design. We get bored of staring at the same painted walls in our apartments. So what’s stopping you from redecorating? It’s expensive and messy, Yes, these are very good reasons! But, using Pinterest so frequent I got the idea of making one wall in my apartment like a big pin board. So, how about revamping your room by taking all of your glossy fashion, lifestyle magazines and newspapers and putting them to good use by cutting out all your favorite snaps. 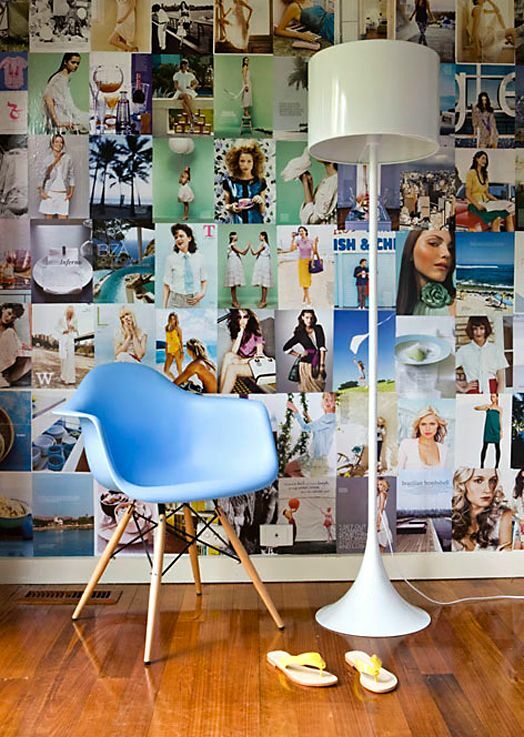 Here’s some of the many possibilities on how to redecorate your flat with magazine wallpaper.